HER a membership-based collective of professional women in Richmond, Virginia. We are committed to fostering meaningful relationships between women of color. HER was created to increase opportunities for women of color to engage with other likeminded women. We are dedicated to supporting each other through positive engagement, community service and personal/business growth. To combat negative stereotypes that traditionally work to divide us, we work to create opportunities to uplift each other through positive interactions and engagement. As global citizens, it is our responsibility and duty to collectively work together to improve our communities. We are dedicated to increasing access to information and providing opportunities for development. 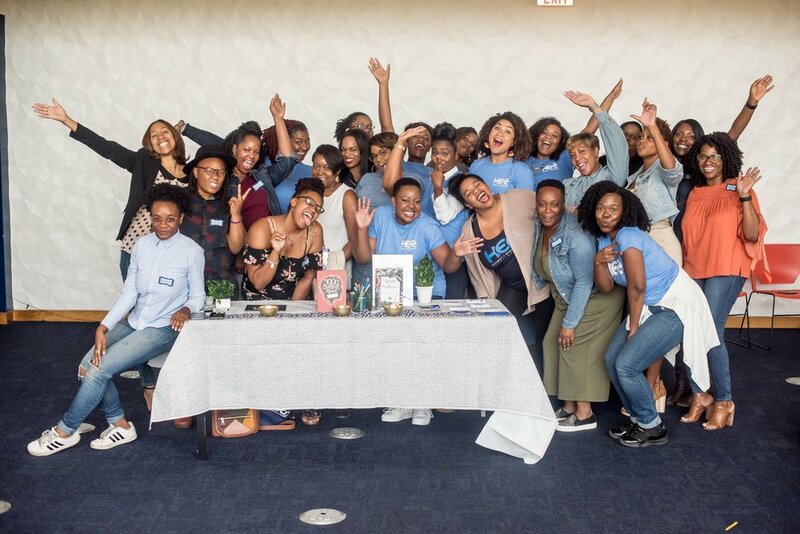 Through networking, workshops and programming, our goal is to help members develop skills to successfully navigate the nuances of the world – as a woman of color. With a unique history as both the Capital of the Confederacy and the home to Black Wall Street, Richmond's heritage is built on strife and prosperity. HER was created as a space for members to learn about and understand the positive and negative influences of our city's history on us as women of color. We stand together to combat the negative influences and collectively work to better ourselves and our communities. After assessing the social landscape in Richmond, we realized that there was a need for a unique community dedicated to women of color, so we created HER. If you've been looking for a group like us , we’d love to meet you. Please see below for link to our social media channels where we share events, programs and projects. Stop by and join us!